Back in March I told you about “My Andrey”. I wasn’t doing “Find My Family Friday” posts back then but, interestingly enough, the post was on a Friday so I guess you could say it was my first one. Today, nearly four months later, Andrey is still waiting. 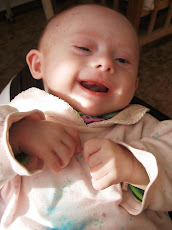 Andrey has over $5,000 in his grant fund, a popular blog hosted a fundraiser/family-finder for him, there was even an article written about him here yet still he waits. Stephanie wrote a touching post where she described Andrey as an underdog. The sad reality is, she was right. Andrey is my cuddly teddy bear. I have little nicknames for all my kids and Andrey’s fits him so well. This little boy is pure love. He is craving love and attention and he is quick to accept it and give it back to whoever takes the time to give it to him. I’ve mentioned before that when I first met Andey he was a little withdrawn but it didn’t take long for his personality to shine through. Yes, Andrey has plenty of personality and is a real little jokester. Sometimes the workers would let me play with him at this highchair/table thing. We would play with stacking rings and he would pick them up, look me right in the eye and smile as he dropped them on the ground one at a time, giggling as if to say, “I’m going to make you do this all day”. Later on I began bringing him downstairs to the visiting room for some one-on-one time. The workers are extremely worried about the cold. They always had booties on his feet and I would get in big trouble if someone spotted him without them. Well, Andrey had other ideas and every time I turned my head he would pull one off. As soon as I noticed I would say, “Hey!” and he would start laughing so hard he would nearly fall over! 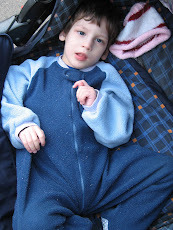 When I first met Andrey, he preferred lying down to sitting up and could not stand even with help. By the time I left, he was sitting more and regularly pulling himself to a stand. Today, my sources tell me that he is often found standing at the side of the playpen. If he can make that much progress in such little time with such little attention, just imagine how he will blossom with the love of a family and the benefits of all the therapies he might need. Andrey needs out of there before he once again loses his motivation and regresses even more. I mean, what’s the point of working so hard to stand in your crib when still, no one pays you any attention? In the past year, eight special needs children have been adopted from Andrey’s orphanage (not to mention all the “typical” children who have been adopted). 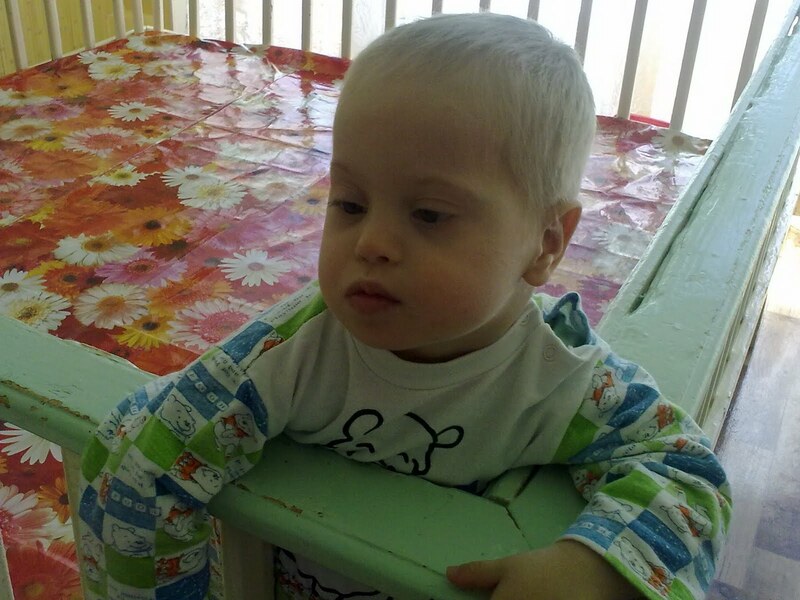 All the while, Andrey waits for a family of his own. You can help end Andrey’s wait by donating to his grant fund, sharing his story and praying that the right family would step forward. This cuddly teddy bear has waited long enough. For more information or to donate, click here. Sharing Andrey on Monday :) Like the new blog updates!! Find My Family Friday... on Tuesday?? ?